As I mentioned in my last post, this past weekend was spent enjoying the wonderfulness that is Door County. And along with the myriad of apple juice, cider and other apple delicacies we procured there, we also managed to return home with some beautiful smoked whitefish. 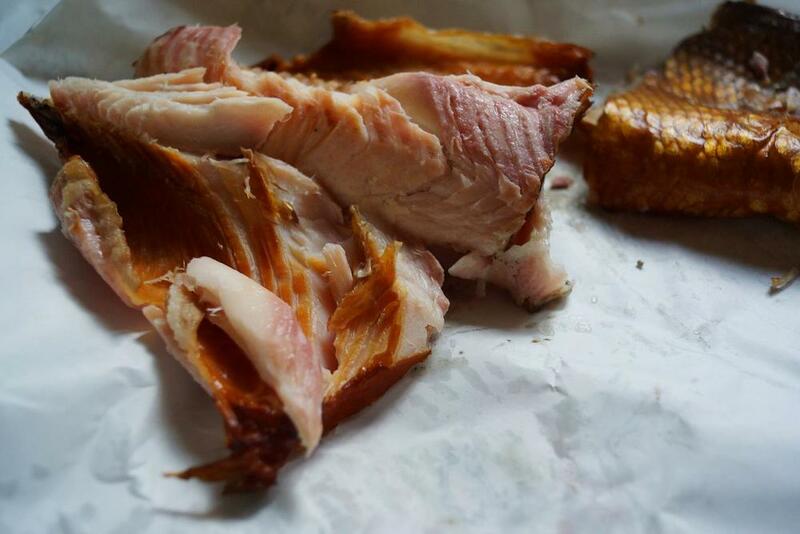 I’m a big fan of just about any food that’s been smoked, and smoked fish is no exception. Especially freshly caught whitefish from Lake Michigan. It really doesn’t get too much better than that. Of course, the first thing that popped into my head was to make a smoked whitefish chowder. The weather is just about to turn chilly. At our house, the boiler’s been primed, the firewood has been bought and stacked, and in anticipation of real fall weather, a warm bowl of hearty soup seemed like just the ticket. It helped that we were still inundated with potatoes and leeks from the farm. And voila, this most delicious chowder was made. And oh how tasty it was. 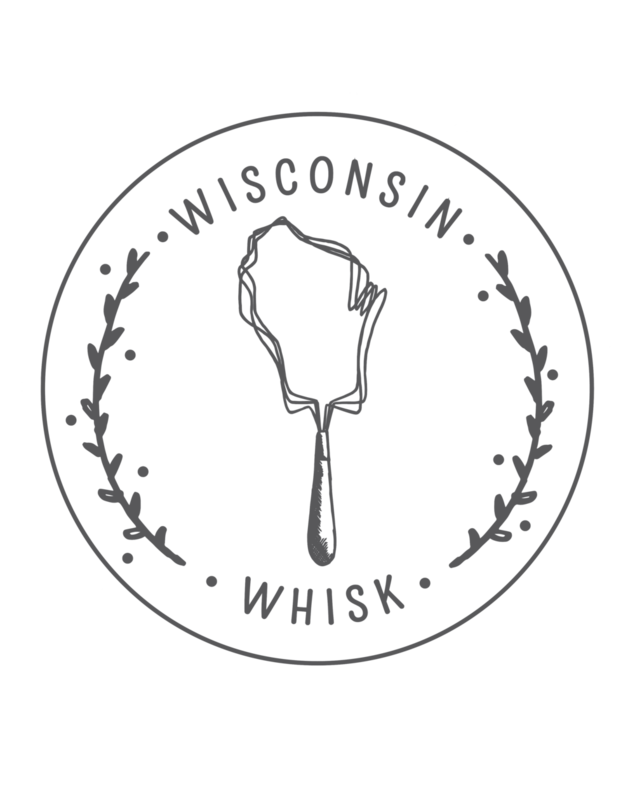 If you have trouble finding smoked whitefish, fear not. This chowder would also be pretty excellent with smoked trout, which is more readily available. But no matter how you make it, it is of the utmost importance that you serve it with oyster crackers. Lots of them. Trust me. If you’re like me and save your bacon grease, subbing bacon grease for the butter in this recipe would take the smokiness of this chowder to the next level. I’m drooling just thinking about it. 1. 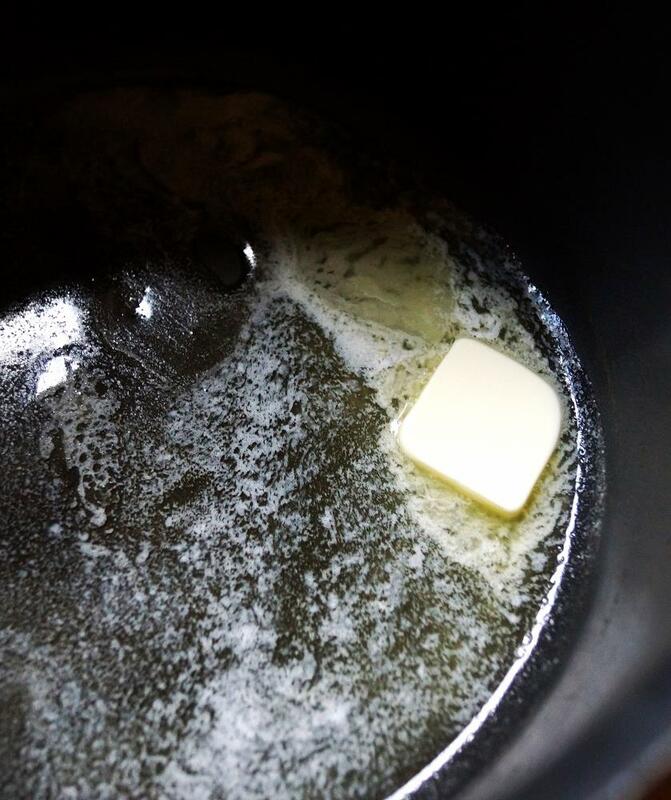 Melt butter in a pot over medium heat. Once melted, add the leek, celery, salt and pepper. Cook until vegetables begin to soften, about 3-4 minutes. 2. Add the flour and stir until flour is fully mixed into the vegetables, then add the milk and broth. Add the bay leaf and potatoes, bring to a boil, then reduce heat to low and simmer until potatoes are soft, about 20 - 25 minutes. 3. Remove bay leaf, and add the smoked whitefish, sour cream, and lemon juice, mixing to fully incorporate. Add salt and pepper to taste. Serve topped with snipped chives and oyster crackers.